Arsenal entertained Chelsea at the Emirates Stadium earlier this evening looking to gain some ground in the race for the top 4. The Gunners made a bright start to the match and took the lead in the 14th minute courtesy of Alexandre Lacazette’s powerful finish from a tight angle. The home side doubled their advantage in the 39th minute through Laurent Koscielny’s shoulder to go into the half-time break with a two-goal advantage. Both teams fought hard in the second half but couldn’t add to the goal tally. 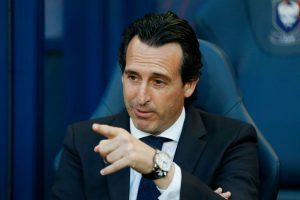 The match finished 2-0 in favour of Unai Emery’s side as they closed the gap with the Pensioners to just three points in the league standings. Let’s take a look at how each Arsenal player performed during the match against Chelsea. The German keeper was hardly tested during the game and secured a comfortable clean sheet at the Emirates Stadium. The Spanish defender set up Lacazette who opened the goal-scoring with an emphatic finish. Bellerin suffered a severe injury in the second half and had to be substituted soon after. The Greek defender was dominant inside his own half and won a lot of headers during the match. There is no doubt about his defensive qualities, but he still needs to find consistency so Emery would hope that Sokratis can keep up the same level of performance over the next few weeks. The Gunners skipper didn’t put a foot wrong in the match. He commanded his box well and defended valiantly to earn a well-deserved clean sheet for his team. Moreover, his goal might have been lucky, but it was vital as it gave Arsenal some breathing room in the second half. He was an excellent outlet for the Gunners down the left flank. Kolasinac made some excellent runs behind the Pensioners backline and did his defensive duties quite well in the second half. The Swiss international protected the Arsenal defence by doing the dirty defensive work in midfield. He made some excellent interceptions and kept possession well for the Gunners at times. The Uruguayan talent worked hard in midfield and fought for every lose possession while up against the Chelsea midfielders. It was another strong performance from the Arsenal prospect. The French youngster put in a tireless shift at the middle of the park but didn’t offer much going forward. The Welshman made a massive difference in the first half with his energy and enthusiasm from midfield. He caused a lot of problems for Maurizio Sarri’s defenders and was arguably Arsenal’s best player on the pitch. The French forward scored with a fantastic strike in the first half. He also looked like a real threat in the opposition half which proved that Emery got his team selections spot on. The Gabon international ran the channels well but lacked the finishing touch in front of goal. He made some good runs but was not able to find the back of the net after coming off the bench. He provided some fresh legs in midfield. Was shifted to the right-back position after Bellerin’s injury and did well to see out Chelsea’s attacks from the left. The Egyptian international did well to see out the victory for the home side. Everton Ready To Make £40m Bid For This Chelsea Forward: What Will He Bring To Goodison Park? Should This £17m Man Start For Arsenal In The Champions League? 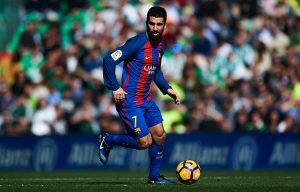 Arsenal Eyeing This Barcelona Star As Replacement For Alexis Sanchez: Can He Fit Into The Side?